Does anyone have any video of flying a simple scout off the water? I assembled my floats today but haven't tried them out yet. I'll hopefully get to try mine out tomorrow but in the meantime I need something to watch lol. Amazing absolutely amazing. I chocking here man your killing me with your beautiful flying skills. And what you got to fly before work?! Now I am jealous too . Where on earth do you live to have such a beautiful flying area right outside your house? nice job, i really need to build one of these. My supercub on floats requires so much more runway for takeoff (plus a giant prop) and always noses over when i hit the water. I have a cub too, but the scout handles so well I probably won't move the floats over right away. 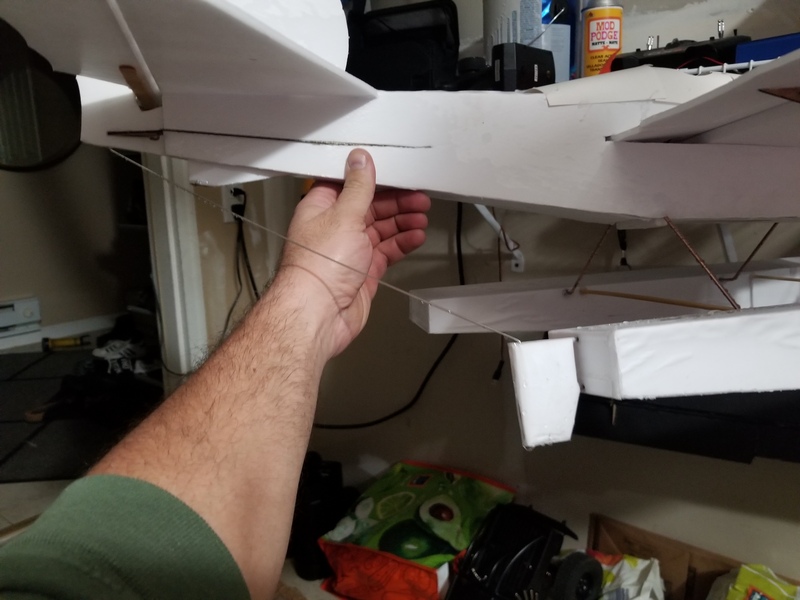 The nice thing is the floats fit both aircraft so you only need to build one set. I have a cub too, but the scout handles so we'll I probably won't move the floats over right away. 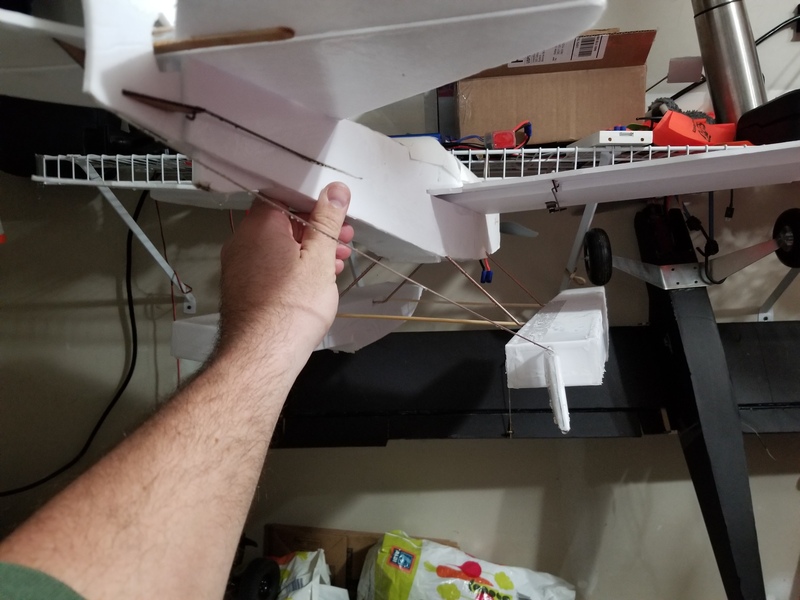 The nice thing is the floats fit both aircraft so you only need to build one set. Think it could handle waves or current? I really need something i can fly day and night over the ohio river. My main problem with the cub is that it weighs too much and it's nose heavy specially when i mount gopro on top. Gopro on bottom little better. Wont take off from floats with gopro, have to hand launch and flips over everytime i land on water. i'm gonna built a floating scout and throw runcam split on it. Can't really speak to the cub as I haven't tried it. Balance is key for the floats. If it's too nose heavy you won't get on the step and it's almost impossible to take off. Try moving the camera aft a bit maybe? As for current and waves, I think this setup is mostly for calm water. I'm considering setting up a water rudder to improve handling, as the floats track so straight it's hard to turn even with 150% rudder deflection. 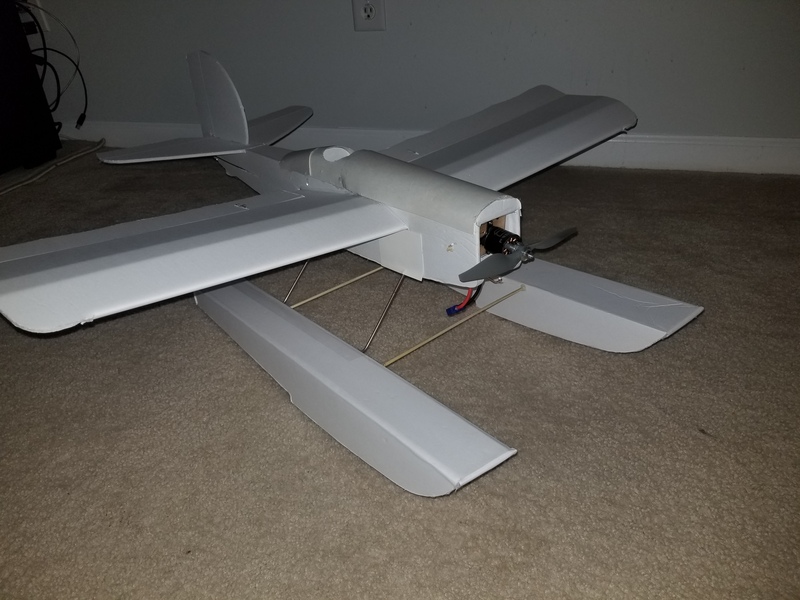 Not sure yet if I'll install an extra servo in the floats themselves or just attach a "rudder extension" to the existing rudder. I too had a bad experience with the Simple cub and a GoPro it was way to hard to handle. @MorningViewFPV Why not go with the Stroch which is a better airframe for a GoPro and could also have floats attached to it. Generally think that it would handle better with currents and waves. Did some more flying with my scout today. Between this and @Dr. Looping Looie's Libelle design, I'm having a blast flying off the water. Libelle link here. My Libelle is unfortunately down for repairs at the moment. My 3 year old insisted on helping me launch it, and he of course threw it in the water upside down, cooking the ESC. My scout seems a little nose heavy, so I had some trouble getting it off the water once on the step. Then I remembered that I had programmed flaperons. I never had to use them flying the scout before, but I tried them out and they made a world of difference. With flaps down the takeoff run was shortened to about 10 yards from a dead stop. @MorningViewFPV maybe this trick could work for you as well? I just got started in this hobby. Did a lot of flying in snow this winter. Waterproofing an ESC and other parts is surprisingly simple, for the most part. FT has a video about that with Peter Sripol. I haven't flown off water yet. To frickin' cold here for a month or two. Did you bring a kayak or paddle board just in case? Maybe I'm a wussy but there's no way I'd be swimming to save my plane! Added a water rudder! This thing is pure awesome and, like many great things, super simple! It dramatically improves the water handling of the airplane. Before this mod it would weathercock pretty badly, and taxiing was frustrating. About the mod: it's a small trapezoidal piece of foam wrapped around a giant "staple" made of spare pushrod. This "staple" is pushed and glued into the rear of the right side float. 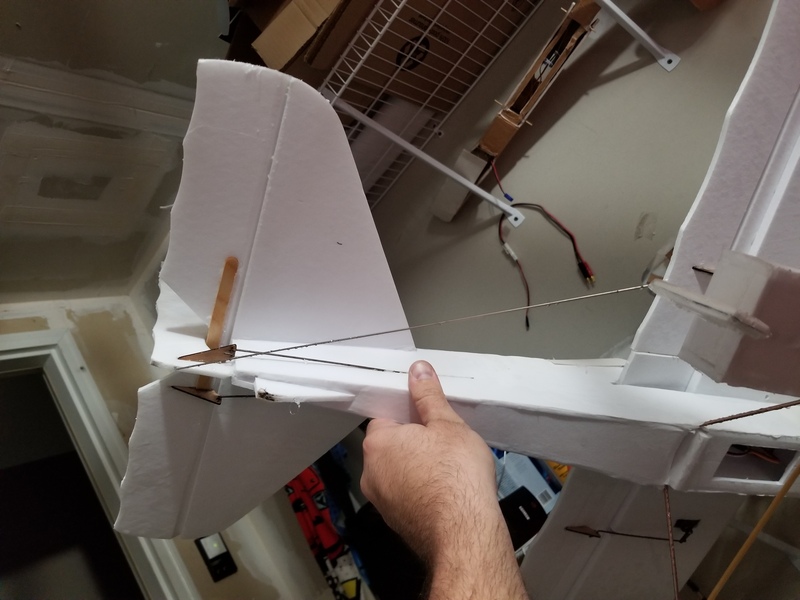 A long pushrod connects the top of the water rudder to the bottom of the air rudder, so no extra servo needed. I'm thrilled by how well it handles! Looks like it handles prefectly. Great job there buddy. I don't think any float planes are in my foreseeable future. Bodies of water are few and far between here in Baja Arizona.